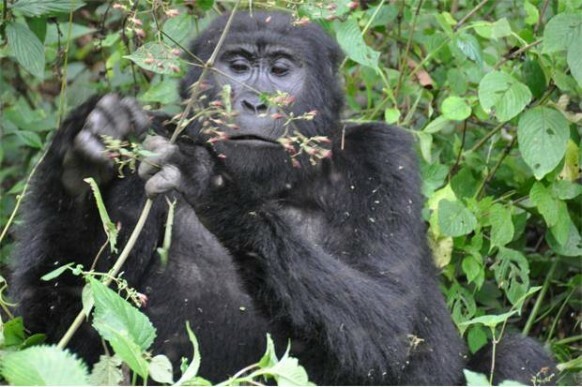 16 Days Uganda Tanzania Primate & Wildlife Tour is one of the long term combined East Africa Safari packages featuring extensive wild game viewing experience and Primate watching including Mountain Gorillas and Chimpanzees. The Safari involves both domestic and regional flights to reduce long surface transfers. 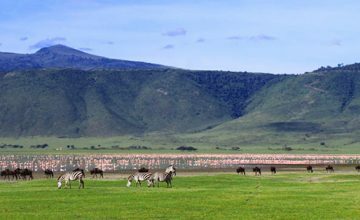 The destinations featured include Bwindi, Queen Elizabeth, Kibale and Murchison Falls National Parks for Uganda and Lake Manyara and Serengeti National Parks along with Ngorongoro Conservation Area for Tanzania. Day 7 of the 16 Days Uganda Tanzania Primate & Wildlife Tour: Breakfast at leisure and drive to Kibale National Park. 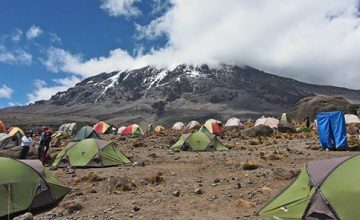 Hike the Ndali – Kasenda Crater field popularly known as the top of the world. Day 12 of the 16 Days Uganda Tanzania Primate & Wildlife Tour: Proceed on the drive to Lake Manyara National Park, visit the Mto Wa Mbu and do an afternoon game drive. You land at Entebbe International Airport and pass through the Immigration arrivals before teaming up with our representative who will be waiting from the arrivals waiting section. After meet and greet, you pack the luggage in the vehicle and transfer to the hotel for check in and freshening up. The briefing about the safari will be conducted when you eventually settle for a cup of coffee or a cool bottle of your selected beverage to make sure that all is well for the subsequent journey. Following an early breakfast, you connect to Entebbe International Airport catching up with a scheduled domestic flight to Kisoro Airstrip enjoying the Aerial landscapes of south western Uganda including the fascinating Kigezi Highlands. The professional driver guide will be set at the Airstrip along with the vehicle waiting to pick you up and transfer to the lodge. You can opt to take a community walk exploring the local traditions and mode of settlement. If you choose to stay at Lake Mutanda, a boat ride can be arranged up to Skelton Island exploring the magical scenery of this lava dammed lake overlooking the Virunga Volcanoes. Mountain Gorilla trekking does not only mark your re-union with the long lost cousins but also contributes greatly to their conservation. 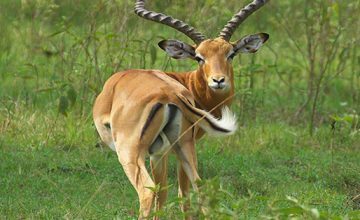 You assemble at the trekking point by 8am to attend to briefing conducted by the Uganda Wildlife Authority Park rangers. After which you set off to the forest in search of these species that are critically endangered world over. You traverse the dense jungle of Bwindi walking on steep slopes and descending down the steep slopes before crossing the narrow valleys and streams which mark the ecosystem of Bwindi. The actual Mountain Gorilla Viewing experience lasts for one hour offering unlimited photographic opportunities and viewing experience. The duration of the gorilla trekking is unpredictable but can range from 2 – 8 hours depending on how far they have moved that day. You retreat to the lodge for freshening up. The local Bakiga performance at the lodge can be arranged in the evening. This is dedicated for another Mountain Gorilla Trekking experience to have other lasting moments with these gentle giants. The routine is the same but you can opt to trek a new gorilla group for a diversified experience. 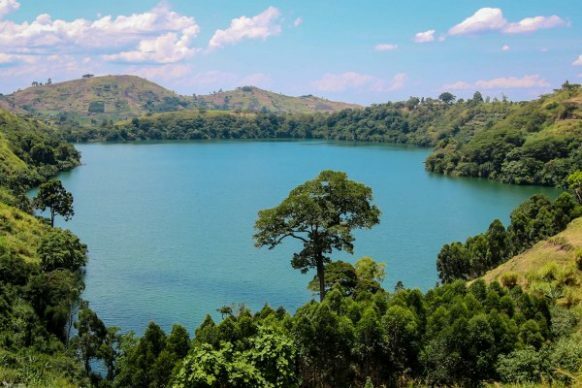 From the activity, you embark on the transfer to Lake Bunyonyi driving through beautiful landscapes of Kigezi Highlands dubbed the Switzerland of Africa. The evening at Lake Bunyonyi gifted with 29 Islands can be spend doing canoe paddling on the lake. Following breakfast, set off for the drive to Queen Elizabeth National Park and upon entering its southern gate of Ishasha, you embark on the game drive in search of the tree climbing lions. This is one of the very few places where these animals can be viewed in the world. They appear very fascinating as they hang on the branches of fig trees in the Midmorning sun. Sights of other wildlife may not be missed like elephants, Waterbucks, Uganda Kobs among others. 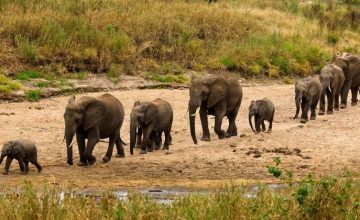 Proceed to the north of Queen Elizabeth National Park for relaxation, dinner and overnight. Following a relaxed breakfast, set off for the drive to Kibale National Park 157km around 3 hours enjoying scenic views of Rwenzori Mountains rising to 5,109m above sea level becoming the third highest in Africa. You reach in Kibale for lunch and in the afternoon; you set off for the hike in the Ndali – Kasenda crater field which is one of the largest explosion craters in Uganda offering remarkable scenic views of the area including 300 lakes, primates like Black and White Colobus and Vervet Monkeys along with bird species. Retire for relaxation, dinner and overnight. Following breakfast, you congregate at Kanyanchu Tourism Center for briefing at 8am about the Chimpanzee trekking conduct. Kibale Forest standing as a tropical moist forest presents a soothing morning environment making the trek to the Chimpanzees exciting. The forest is home to 351 species of trees, 375 bird species along with 13 species of primates. The eventual encounter with the Chimpanzees is set for one hour offering opportunities to explore them as they feed, copulate, play, hunt and make pant hooting calls among others. The whole activity can last between 2 – 5 hours. 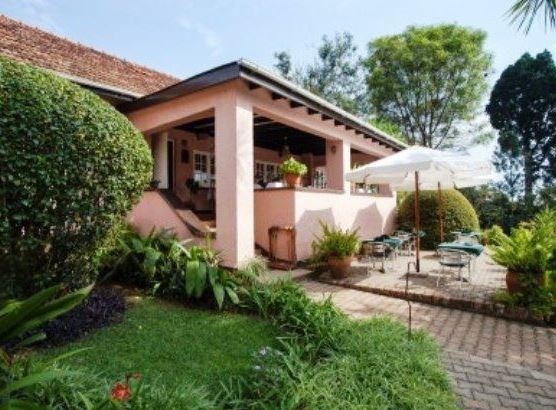 You walk back to the starting point and embark on the drive to Fort Portal where you can opt to spend the afternoon at leisure or take a cycling encounter in the Mpanga tea estates for sightseeing and experiential encounters like tea plucking and processing. Following breakfast, set off from Fort Portal driving to Murchison Falls National Park. It’s a long drive but offers remarkable views of the countryside landscape with a lunch stop at Hoima town. The local settlements and physical features make the journey rewarding. 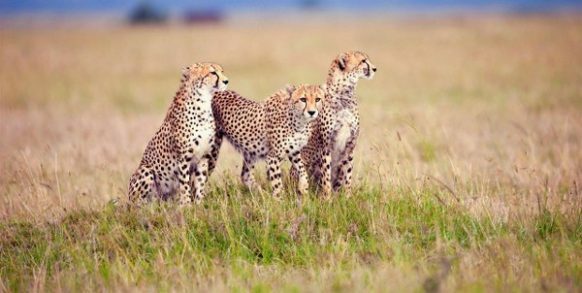 The game drive commences at 7am in the northern section of Murchison Falls National Park exploring the magical landscapes of this area dotted with a great count of wild game including; Elephants, Rothschild Giraffes, Buffalos, Lions, Leopards, Jackson’s Hartebeest, Uganda Kob and the Oribis. The activity tends to last 3 – 4 hours after which you get back to the lodge for relaxation and lunch. Gather at Paraa jetty in the afternoon for a Nile launch cruise departing at 2pm for a 3 hour ride to the bottom of the falls. The cruise offers possibilities of viewing Nile crocodiles, Shoebill stork, the Hippos along with the wild game drinking on the riverside like Rothschild Giraffes, Elephants, Waterbucks, Buffalos, Uganda Kobs among others. Upon reaching the bottom of the falls, you embark on the hike to the top of the World’s powerful waterfall. 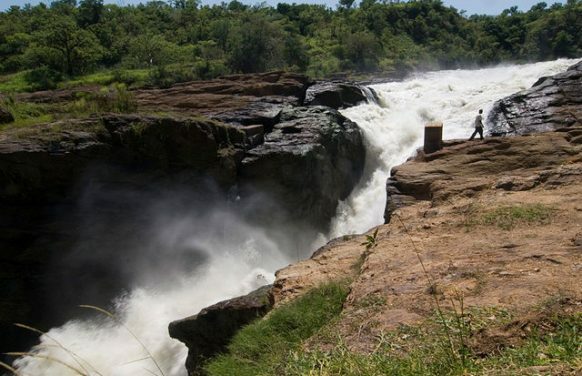 The challenging hike brings along the magical sights and sounds of the Nile where it squeezes itself to pass through a less than 7m gorge before dropping 43m below the Devil’s Cauldron deriving a plume spray marked with a trademark rainbow. You join the driver and the vehicle on the top of the falls to transfer back to the lodge. Transfer to Pakuba Airstrip to board a flight from Murchison Falls National Park to Entebbe International Airport. You keep around Entebbe till the check in time for the flight connection to Kilimanjaro National Park. 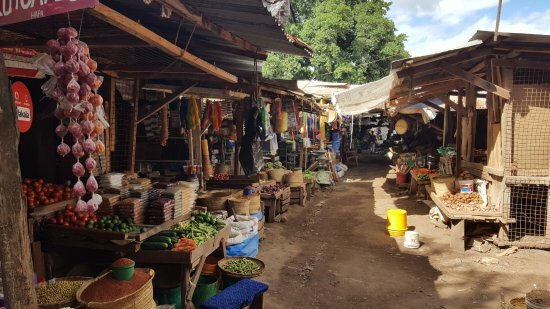 Upon arrival in Tanzania, you drive to Arusha for dinner and overnight.